Published: Oct. 14, 2013 at 12:53 p.m. Updated: Oct. 15, 2013 at 06:19 p.m. The Houston Texans are 2-4. On Sunday, they were bludgeoned, embarrassed and humbled at home, by the St. Louis Rams of all teams. The final score read 38-13, but it wasn't even that close. This isn't supposed to happen to teams with rosters that scream Super Bowl contender. Frustrated Texans fans, in pathetic fashion, cheered when beleaguered quarterback Matt Schaub was forced to leave the game with an injury. Welcome to rock bottom, Houston. Welcome to the hot seat, Gary Kubiak. Yes, Schaub has played poorly, throwing pick-sixes in four consecutive games and nine interceptions overall against just eight touchdown passes. But when you're assigning blame for the Texans' 2-4 start, it begins with the coach. That conclusion isn't a reaction to a game or even a season. It isn't knee-jerk. The case against Kubiak has been building for quite some time. Kubiak deserves a lot of credit for helping change the Texans' culture. He rewarded general manager Rick Smith and owner Bob McNair when they stunningly showed patience after a 6-10 season in 2010. Given that Kubiak also went 8-8 in 2007 and '08 and 9-7 in '09, nobody would have argued had the Texans changed coaches. But Smith and McNair believed Kubiak was the one to get Houston over the hump. And yes, Kubiak piloted the Texans to their first two playoff berths, beating the Cincinnati Bengals both times before falling in the divisional round. But that doesn't even begin to tell the story. Remember Dec. 10, 2012? The nation was excited to watch the Texans and Patriots play on that Monday night. 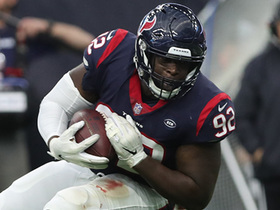 Houston was 11-1 and in the driver's seat for the AFC's No. 1 seed and home-field advantage throughout the playoffs. Texans players dressed in letterman's jackets on the team plane to New England. The Texans lost 42-14. And you can argue they still haven't recovered. Houston subsequently dropped two of its last three regular-season games -- and the No. 1 seed. The Texans probably shouldn't have won their wild-card game against the Bengals, either: If Andy Dalton had hit a wide-open A.J. Green toward the end, Cincinnati could've advanced. 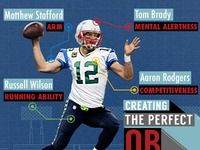 Smith has built what is perhaps the AFC's most talented roster. The Texans had a conference-high nine Pro Bowl selections last season. 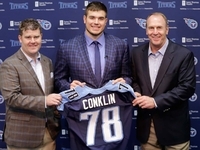 They have Duane Brown, one of the NFL's five best left tackles. They have top-level running backs in Arian Foster and Ben Tate and two of the game's ace defenders in J.J. Watt and Brian Cushing. Yet the Texans have slouched to a four-game losing streak under Kubiak, whose game management is spotty and whose play selection understandably is under scrutiny. Need proof regarding the latter point? After Houston kissed away the Seattle game in front of its home faithful, savvy Seahawks cornerback Richard Sherman claimed he knew the play the Texans would run, leading to a now-familiar Schaub pick-six. That's on Kubiak, who's had nearly a year to diagnose and fix Schaub's issues. 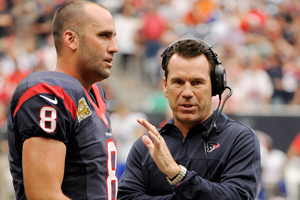 Houston Texans QB Matt Schaub (left) has struggled, particularly with interceptions, but coach Gary Kubiak hasn't been able to fix the problem. Consider the Texans' past seven regular-season losses. They've either blown leads or been blown out. They're too talented for that. When it consistently happens, that's on the coach. 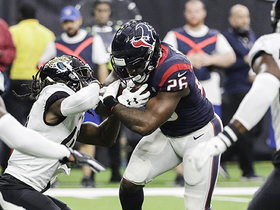 The Texans won close games in Week 1 and Week 2, and I thought that showed toughness. Instead, it was a harbinger of things to come -- and further proof that Houston isn't ready for prime time. 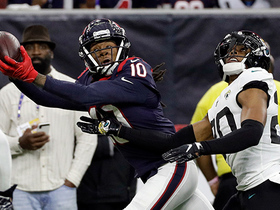 The defending Super Bowl champion Ravens welcomed the Texans to Baltimore with a 30-9 pasting. Then the Texans couldn't hold their 17-point, second-half lead against the Seahawks. 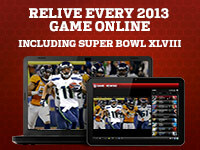 Houston didn't show heart in a nationally televised 31-point loss to the San Francisco 49ers. And on Sunday, the team allowed 38 points to the struggling Rams. The Texans' schedule doesn't get any easier. 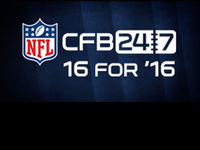 They play the 6-0 Kansas City Chiefs this week, then take a bye before facing the Indianapolis Colts and Arizona Cardinals. Coaches sometimes reach their shelf life. 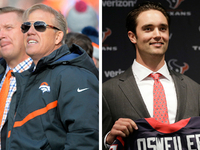 What Smith and McNair must ask themselves in their eighth season with Kubiak is, where is this team headed? They have to look into the crystal ball, not reflect on the rearview mirror. Is the Kubiak-Schaub combination the right one to lead Houston past the divisional round? Smith and McNair must be having their doubts. Kubiak's teams have had trouble when asked to go up in class or to perform in big spot. Now the Texans' season is going up in flames. We often hear of championship windows opening and closing. In the NFL, those windows are wacky. The 2011 Indianapolis Colts were an embarrassment. 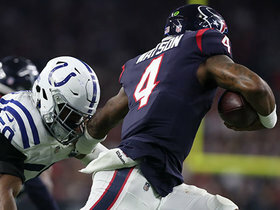 Now, with Andrew Luck, Chuck Pagano and a host of tough wins against elite teams and fourth-quarter comebacks to its credit, Indy has leap-frogged Houston in the AFC South. McNair must be aware. The Texans' window doesn't have to close. Things could click; Houston could make a run for a wild-card spot. But is that good enough? Would a coach such as Greg Roman, David Shaw, Kevin Sumlin, Mike Zimmer or Jon or Jay Gruden -- an offensive-minded hire would allow for the retention of defensive coordinator Wade Phillips -- win more games with this talent? If the Texans keep getting punched in the mouth, it might be time to find out.